in the fullness: is this funny or am i in trouble? 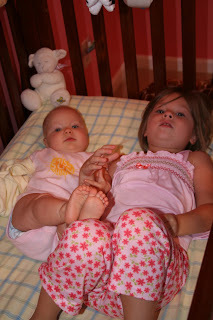 on this particular morning, i found the girls in the crib together. ladyBug wanted to know, "is this funny or am i in trouble?"